Water Resources Department, Jaipur (Government of Rajasthan) www.examwrd.rajasthan.gov.in as per Recruitment Advt No. 01/2013 Dated: 11th September 2013 invites ONLINE applications for Following post of Junior Engineers (J.En). Degree or Diploma Holders candidates may apply through online mode of application from 22nd October 2013. Qualification: Degree or Diploma in Civil or Mechanical Engineering from recognized University. Age: candidates age should be between 21 yrs to 35 years. Upper age relaxation will be applicable as per govt rules. 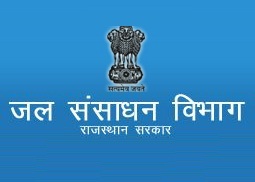 How to Apply: Eligible candidates should apply ONLINE through official website of Rajasthan WRD i.e.. http://www.examwrd.rajasthan.gov.in on or before 22nd October 2013. Last date to apply: 22nd October 2013.